Looking for reliable and affordable Computer Repairs, Services and Help in the Invermay Park area? Geekmobile is a Friendly, experienced Computer Repair company operating at Invermay Park. Our Technicians are of the highest standard and we fully cover Invermay Park and the surrounding suburbs including Lake Wendouree, Golden Point, Ballarat East, Sovereign Hill, Redan, Mount Helen, Mount Clear, Black Hill, Alfredton, Newington, Bonshaw, Brown Hill, Soldiers Hill, Sebastopol, Mount Pleasant, Canadian, Bakery Hill, Nerrina, Ballarat West, Ballarat North, Ballarat Central, Ballarat, Eureka and Delacombe just to name a few! Invermay Park is serviced by the techs based in these suburbs and surrounding areas: Angelo (Ballarat), Austin (Ballarat Central) and Ben (Brown Hill). Ran two malware/addware scans, removed detected items. Checked anti virus active and up to date. Removed unwanted programs. Stopped unwanted programs from starting at startup. Checked internet explorer and chrome worked Ok and did not have any unwanted add ons. Restarted PC. 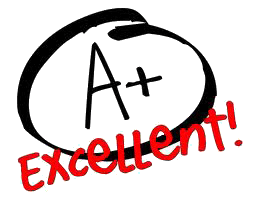 Tested internet sites with Susan, all worked OK.
"very satisfied with the service. unfortunately had to reset the pc back to basics but i lost no vital data in the process. would definitely use your service again. sam was polite, well presented and a credit to your company. thanks."